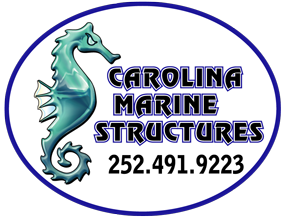 Bid List – Carolina Marine Structures, Inc. SCOPE OF WORK: THE PURPOSE OF THESE PROJECTS IS TO STABILIZE EXISTING UPLAND BLUFFS ON THE NANSEMOND RIVER AT THREE (3) LOCATIONS OFF SLEEPY HOLE ROAD. THE PROJECT LOCATIONS INCLUDE THE PLANTERS CLUB, THE GOLF COURSE AND THE FISHING PIER. ALL 3 PROJECT SITES CONSISTS OF UPLAND BLUFF GRADING, ORGANIC SOIL AMENDMENT, HYDRO SEEDING, SLOPE STABILIZATION MATTING AND VEGETATIVE COVER IMPROVEMENTS. THE PLANTERS CLUB PROJECT ALSO INCLUDES STORM WATER CONVEYANCE IMPROVEMENTS. This work shall consist of removing, disposing of, and replacing approximately six thousand (6000) feet of wire cable and hardware used as safety railing along the edge of decking under the Nauticus building overhang. This work shall consist of maintenance dredging of the Indian River Creek drainage outfalls to improve drainage, stormwater flow and flushing through the channels to the depths and widths indicated on the drawings. This work shall consist of adding fill to identified locations, covering are with filter cloth and adding Class II Rip Rap.